Technological advances and experience gained from previous incidents have helped prevent a number of potential tanker spills. Technological advances and experience gained from previous incidents have helped prevent a number of potential tanker spills, however, "we simply cannot afford to become complacent." This was the message delivered at last week's event in Washington, hosted by the National Oceanic and Atmospheric Administration (NOAA). The event marked twenty years since the Exxon-Valdez oil spill in Prince William Sound, Alaska. Officials at the event said that that tighter standards and knowledge gained from the Exxon-Valdez spill have helped avert a number of tanker spills over the years. Sally Brice-O'Hara of the US Coast Guard said a perfect example was the recent collision off the coast of Texas between the Norwegian tanker the SKS Satilla and a submerged oil rig. "A potential environmental catastrophe was averted, primarily because the SKS Satilla was a double-hulled tanker and the damage along the bottom ruptured only the ballast water tank, not the cargo tank. 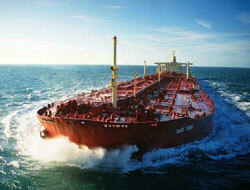 With a single skin, the results would have eclipsed the Exxon Valdez spill," said Brice-O'Hara. Regulators added that whilst post Exxon-Valdez standards have helped create a safer ocean, there were other threats on the horizon. NOAA and the Coast Guard said they continue to have concerns about ships carrying freight with large fuel tanks that do not have the double-hull protection of the oil tankers. This comes at a time the Australian authorities are dealing with what is being called Queensland's biggest environmental disaster, after the Pacific Adventurer cargo ship punctured its fuel tank and spilled around 250 metric tonnes (mt) of bunker fuel into the water.